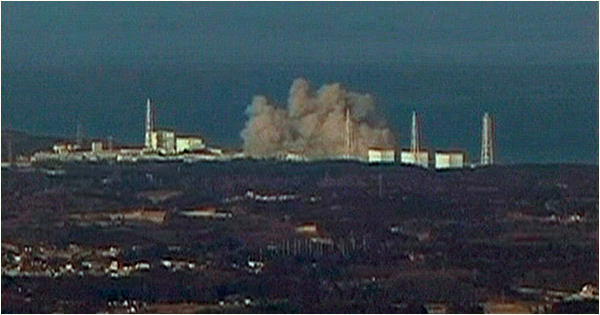 Never before in the modern era has humankind been confronted with a nuclear disaster the likes of Fukushima. Truly, Japan has become the location of the greatest nuclear catastrophe in history, one that has defied countless attempts to resolve it. Although it was once imagined to occur in China on the silver screen, Japan has experienced the actual “China Syndrome” — an apocalyptic nuclear meltdown(s). 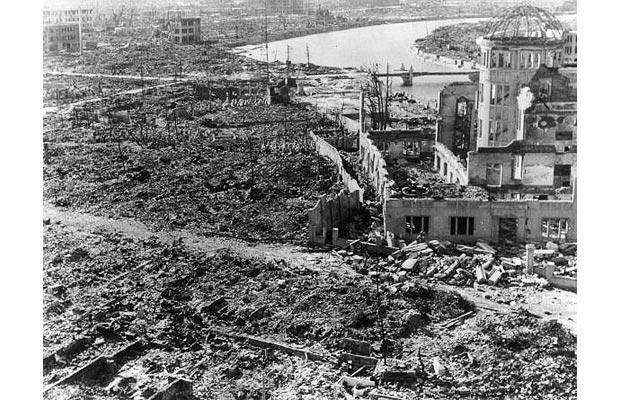 Once again, Japan is the site of an unparalleled atomic event whose aftermath has no end in sight. 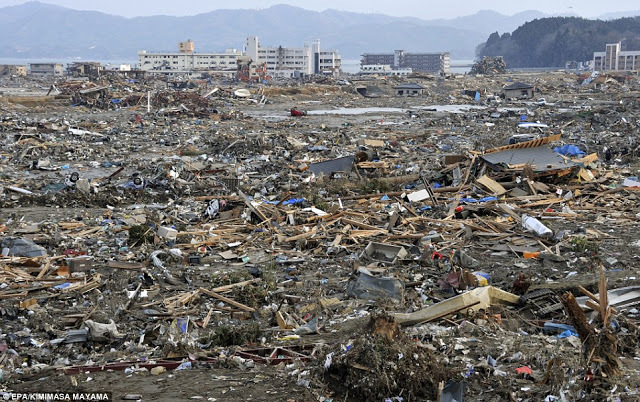 Before the nuclear event even took place a vast area around Fukushima was rendered virtually uninhabitable by the 3/11 earthquake, seaquake and resulting tsunami. Here’s an accounting of the destruction to life and property, caused by the natural cataclysm, which has never been reported in the mainstream media (MSM). 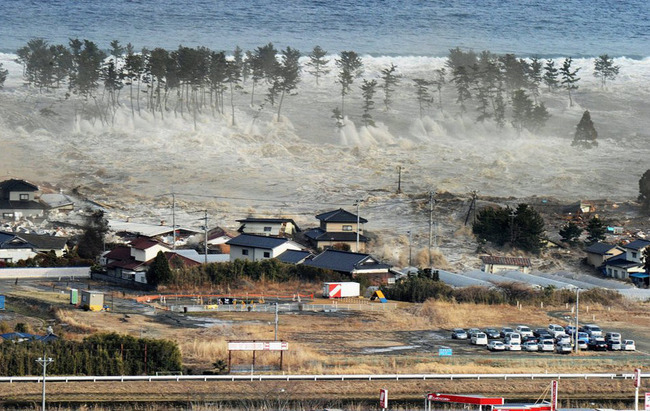 The earthquake and subsequent tsunami in March of 2011 not only devastated the northeast coastline of Honshu Island, it also triggered a series of nuclear incidents some of which went completely unreported. Those various incidents seemed to have cascaded within the same window of time in order to guarantee the gravity of the cataclysm that humanity must now face. These events continue to reverberate with awesome consequence up to this very day, as they will into the foreseeable future. It does appear that the message they bear has not yet been heard, or understood, by the civilization which created this ‘nuclear drama’. However, as long as it goes unheeded, the parade of seemingly unsolvable problems will continue to present without relenting. Fukushima is nothing like Chernobyl; it’s much worse! We’ve all heard by now the many comparisons to the 1986 nuclear disaster at Chernobyl in the Ukraine. While that was an extremely serious nuclear accident, Fukushima is far more serious. Fukushima is not only exceedingly more difficult to manage in real time, it presents current and future remediation challenges that go far beyond Japan’s capacity to address in any meaningful way. What makes Fukushima the most formidable of all nuclear catastrophes? Just like the 2010 BP oil spill in the Gulf of Mexico, Fukushima’s fate directly concerns the contamination of water as it continues to affect a major body of water. Not just any body of water, but the largest on Earth. The world has watched in horror as tons of radioactive water have been dumped off the Honshu coastline only to be conveyed wherever the Pacific decides to transport it via both superficial and deep ocean currents. It is this interaction with water which makes this nuclear disaster so unique and problematic. Their only way to cool down the core and rods is with water. The water then has to be stored until the radioactivity can be properly addressed. Except that the volume of cooling water necessary is far exceeding TEPCO’s capacity to effectively deal with it. Japan’s location in the Ring of Fire is the most seismically active on the planet. Earthquakes have fractured the landscape of Japan and surrounding undersea topography for decades, perhaps even centuries. The obvious result of sustaining so many 5.0 plus earthquakes is that the geology has been fractured and fissured, cracked and creviced like no place on Earth. When two major tectonic plates collide …. The real conundrum underlying this predicament is that there is no letup in the frequency or severity of earthquakes, both land-based and undersea, which continue to assault the four major islands of Japan. Therefore, the “fractures and fissures” will only get worse which will translate to myriad opportunities for the water table, ground water and other water supplies to become irreversibly contaminated with radioactivity. In light of the fractured geology in and around Fukushima, the vectors of radioactive water dissemination are numerous and profoundly difficult to control. When groundwater is contaminated, it will undoubtedly contaminate all the land and other water that it comes into contact with as it makes its journey pulled forward and downward by topography and gravity. The biggest unknown in this ongoing scenario is the degree of horizontal fissuring of the land which would provide earthen conduits for the water to move horizontally around the island of Honshu. Even the vertical fracturing can lead to openings and channels which ultimately convey the contaminated water to places far and away from Fukushima, and possibly closer to areas with higher population densities. Just how much contaminated water are we taking about? That’s a LOT of water. And the practical realities of dealing with such an enormous volume staggers the imagination. Which is precisely why TEPCO is completely ill-equipped to handle this and other extraordinary aspects of this disaster. Not only did management never conceive of (or plan for) such a systemic meltdown, TEPCO by its very corporate nature looks to minimize both costs and public relations debacles which might impact it profitability and public perception. 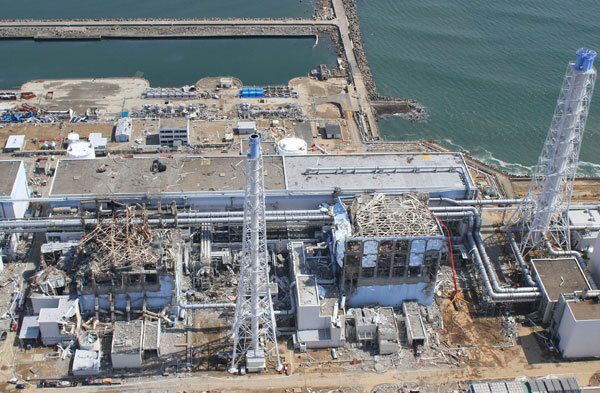 Consequently, TEPCO has moved too slowly, and too cautiously on a number of demanding fronts. The only way to fully comprehend the woefully lacking response to this global disaster is to understand the corporate culture of TEPCO. As well as to understand the extraordinarily dysfunctional relationship between the government of Japan and TEPCO. Herein lies the answers to many of the missteps, miscommunications, misunderstandings, and misinformation regarding this unfolding nuclear EMERGENCY. The Japanese Government, too, bears great responsibility for the extremely incompetent and lacking response to this nuclear disaster and national catastrophe. They followed the same game plan that the US Government executed during the BP oil spill in the Gulf of Mexico. The MO was to distance itself from BP et al. and the Gulf PR disaster however possible, and wherever necessary, so as not to be tarred by the political tar balls produced by the spill. Likewise, the Japanese Government has taken the same hands off approach, although often they have (mis)presented a hands on and fully engaged response. Unfortunately, the Japanese culture does not deal with failure very well. Especially failure which reveals so much systemic negligence and irresponsibility. After all, the entire enterprise which constructed 55 nuclear power plants throughout Japan, with 12 additional plants in various stages of development, should never have gotten so far without the proper risk assessments. Even a casual audit of those nuclear energy facilities around Japan has revealed critical problems, any one of which could have been sufficiently serious to suspend further plant construction. In this particular regard the government clearly fell down on the job. Moreover, it can be said that the prevailing political climate in Japan fostered an environment of inaction, denial and apathy. 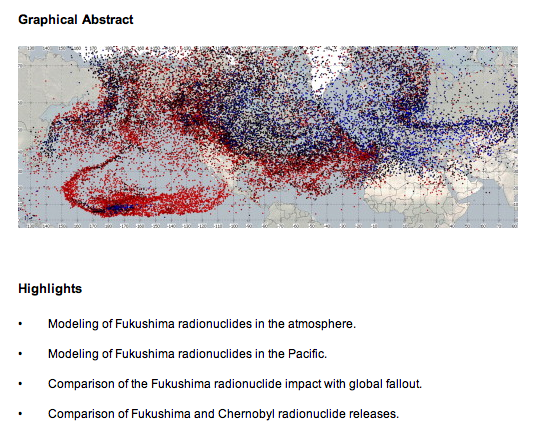 This is the context in which the Fukushima catastrophe has unfolded. And it doesn’t get better, it just seems to get worse. For instance, can you imagine building an ice wall to contain the radioactivity from spreading to the sea and throughout the greater environment? While such a band-aid may function as a stopgap measure, it underscores just how far into uncharted waters Japan finds itself — without a compass … or a map … or even a helmsman. Because of the incessant leakage of contaminated water, any quick fix may be worth trying. However, when their implementation comes at the expense of addressing the much more urgent matters, perhaps it’s time to admit the inadequacies and request assistance. Where else, but the sea, can TEPCO dump the millions of metric tons of contaminated water? Perhaps this question, more than any other, illustrates just how serious this situation really is! Certainly the CCRG does not condone the massive dumping of this water into the Pacific. However, it must be pointed out that there is no other viable solution at this moment. After two and a half years, the greatest challenges that Japan faces with these reactors are not even close to being met. There ought to be no minimization of the effects of the radionuclides dispersed into the air in the wake of the explosion at the Daiichi plant. The cesium-137 that was released from March 11 has a half life of just over 30 years. This means that it will have long term and profound effects on living organisms depending on their level of exposure. The duration of that exposure will be a major determining factor when assessing the adverse effects on human life. Any questions about the cesium-137 being a dangerous form of radioactive compound are answered at the following link (Cesium: Radiation Protection from the EPA ). It is one of the most common heavy fission products and therefore may prove to be the source of further dissemination of radionuclides from the nuclear plant in Fukushima. Consequently, all visitors to Japan are advised to be aware of the past releases, present risks and future eventualities associated with cesium-137 dispersal both in the air and on the islands. From a psycho-historical perspective the question must be asked why Japan permitted such a state of affairs to develop. Especially in light of Hiroshima and Nagasaki, it would appear that Japan would be the last place for such a risky nuclear power experiment. The four main islands of Japan are quite obviously the last place for such a dangerous and unstable technology, so why did they do it? Or, rather why did the USA via General Electric sell such inherently flawed nuclear reactors to Japan in the first place? Not that those design flaws would have made any difference after the 9.0 earthquake and 45 foot high tsunami. The real issue is that there must have been either extraordinary inducements or exceptional coercion utilized in the process of foisting nuclear energy upon a nation that already suffered so greatly from two atomic bombs. The following essay further explains some of the unfortunate history which led up to and set up this ongoing tragedy. 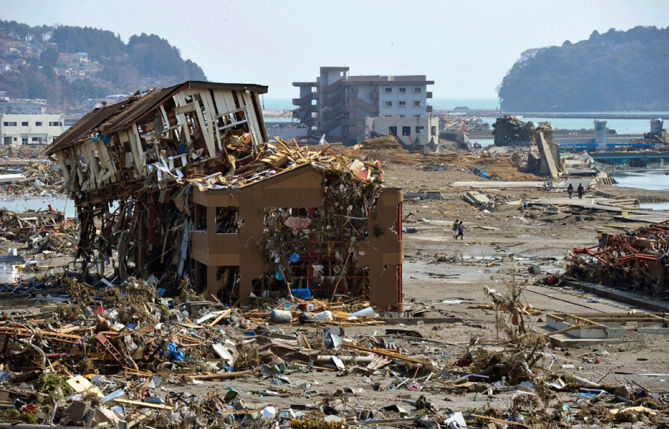 Of course, where the earthquake and subsequent tsunami were responsible for the destruction of the Honshu coastline, the nuclear meltdown(s) continue to wreak havoc in ways mostly unseen and unknown. Nevertheless, this inscrutable nuclear event has forever altered the landscape and seascape because of the relentless contamination of both seawater and groundwater. Therefore, it is the conveyance of this water which will determine the ultimate consequences of the Fukushima calamity. Where this water ends up and how nature processes the contamination are the big questions. 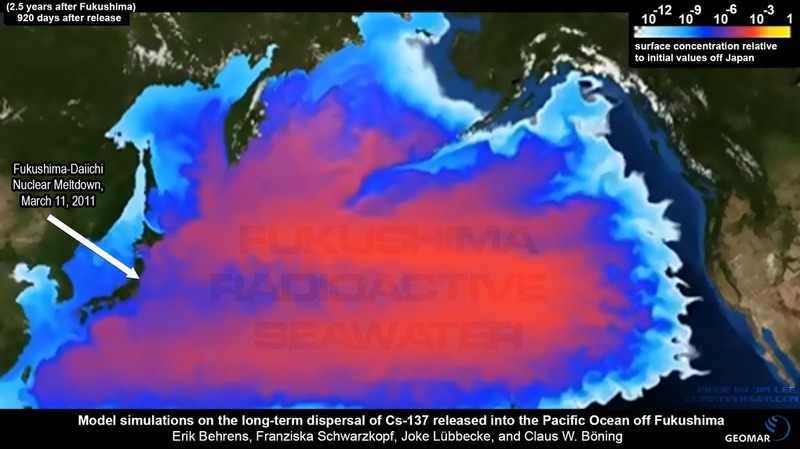 It would seem that the Pacific Ocean is large enough to permit the ‘sequestration’ and/or ‘remediation’ of large concentrations of radioactivity. However, wherever there is life, the contaminated water will forever change (read mutate) those living organisms at the most basic levels of their physical existence. Just how serious is Fukushima … really? 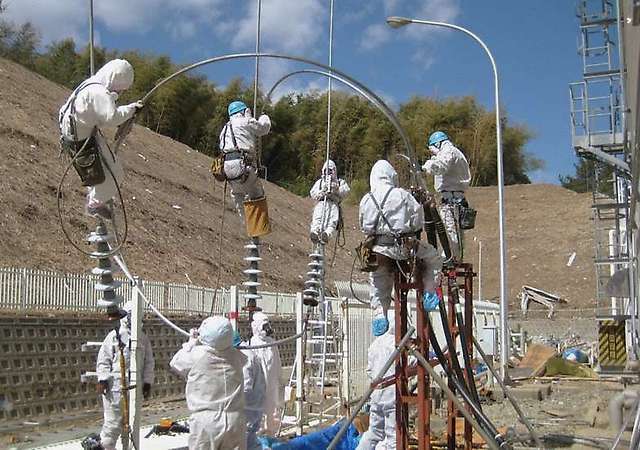 Here are three recent assessments of one of the most pressing and consequential issues facing TEPCO and the Japanese government, and facing the people of Japan and the world community of nations. 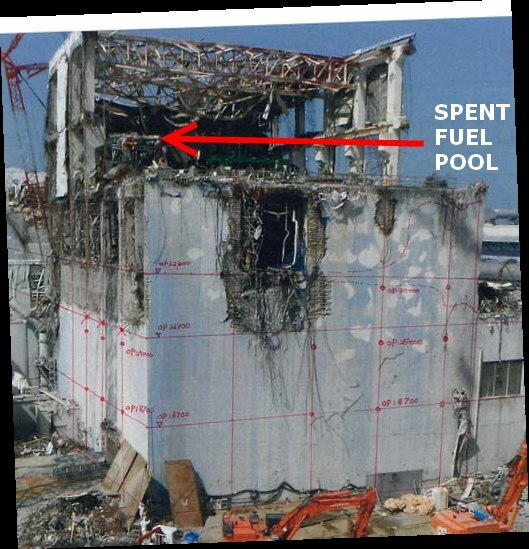 The same article makes mention of the distinct possibility that Tokyo could be evacuated if things were to go wrong with the spent fuel pool on top of #4. That such a possibility even exists indicates that the global community has not taken nuclear crisis seriously. If they were to consider the far-reaching ramifications of such an outcome, as described in the following article, perhaps the collective will and wherewithal would quickly materialize to meet the challenges at hand. The preceding question has yet to be answered by the nuclear power generation industry. Fukushima has no doubt presented itself with so much urgency and formidability in order that the entire planetary civilization will come to grips with this fatally flawed energy paradigm. The questions it poses concern existential necessities. That’s why there is no wiggle room. It just won’t get better, and only seems to get worse, and more daunting. Just as the BP Gulf oil spill revealed so much destruction to the global habitat occuring undersea 24/4, Fukushima has unveiled so much of what goes on round-the-clock within the realm of nuclear energy. The ‘accident’, meltdown(s), and subsequent litany of mini-disasters have have all revealed one critical factoid. We cannot over-emphasize how dire Fukushima has become. There is no indication that the international community views this disaster as a global problem. Clearly, the whole situation has become such a radioactive political football, that everyone is afraid to touch it, much less embrace it. Japan does not have the capacity to address it. They know, and the USA knows it. So does the International Atomic Energy Agency, Nuclear Regulatory Commission and the entire Nuclear Power Industry. Of course, the United Nations and World Health Organization are well aware. Therefore, it appears that the people of the world must make their voices heard. Only a mass movement will compel “the powers that be” to seize the day, while there is still one to seize. The only other explanation for the obvious lack of initiative on the part of the global power structure rests with The Iron Mountain Report. If nothing else, this essay (and many others like it on the internet) provides ample evidence for the world community to re-visit the nuclear energy paradigm. Particularly in light of the irrefutable acceleration of global technospheric breakdown is the nuclear power generation industry obligated to permanently close down many substandard plants around the globe. Point of fact: The normal stresses, and 24/7 wear and tear, that atomic energy produces in a nuclear reactor setting have substantially shortened the predicted lifetime of the physical plants. When you overlay many other co-factors such as inferior building materials and equipment parts, and unreliable process and procedures, as well as other unknown variables like global climate change, it is easy (very) to understand how a Perfect Storm can be created at any moment. Being cognizant of the fact that there is infinitely much less room for error in the nuke business, lest the worldwide environment sustain irreparable damage for generations to come, there is only one acceptable response. It is incumbent upon those who are in positions of authority to act … and act now before another coastline becomes the site of another “Fukushima”. Or, another land mass falls victim to another “Chernobyl”. We sincerely hope that we have made ourselves perfectly clear in this regard. After all, the very future of the planet appears to lie in the balance. 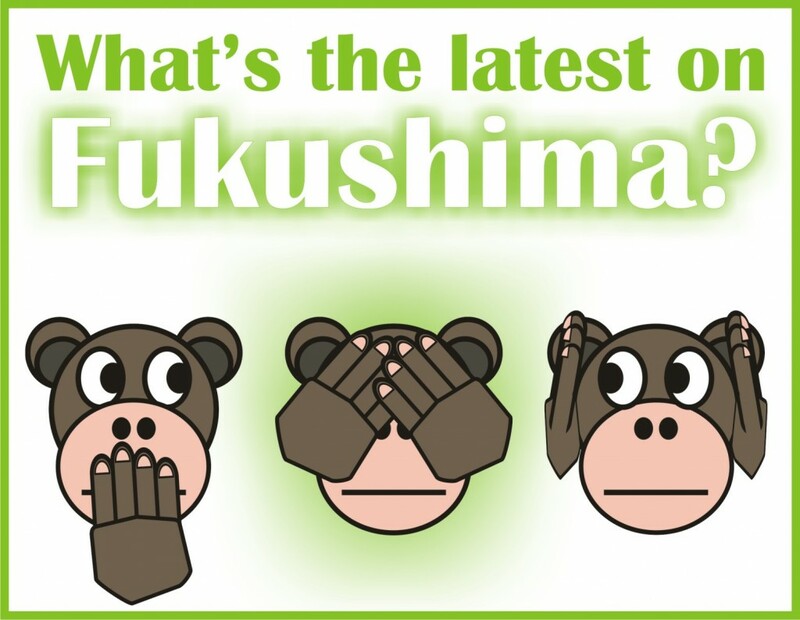 How many more Fukushimas must the world experience before the nuclear power generation industry is shut down? Iron Mountain is a report on how to circumvent the Constitution. It is a document of treason couched in innocuous titles and words. It is a report on the handling of men, women, children and babies on the basis of “herd or animal management” without regard to morality. The Constitution has been effectively canceled by Iron Mountain. The heart of the Iron Mountain report is that war is absolutely necessary and economically a necessary waste. It creates artificial demand. The organization of a society for the possibility of war is its principal political stabilizer. The basic authority of the modern state over its people resides in its war powers. War is the glue that holds the nation together and rallies the people to make such sacrifices so they can build up a huge war machine. Therefore, a substitute for the war system must be found in order to control the people and provide stability and legitimacy of government if we go into an era of peace. As they phase war out they have to phase whatever they put in its place to control the people. New political machinery would be needed at once. Until a substitute for war is developed then war must continue in order to remain in control. Keep war until all substitutes are in place so we don’t lose our rulership and to remain in power. The substitute for war must be a universal threat of equal magnitude as that of world war. The immediate loss of lifestyles . . . . It must be credible. It must be accepted by the vast majority of the population of the whole world. Credibility, in fact, lies at heart of the problem of developing a political substitute for war. A naiton would self-destruct without an external threat of some type. It is more probable, in our judgment, that such a threat will have to be INVENTED, rather than developed from some unknown conditions. It may be, for instance, that GROSS POLLUTION of the environment can eventually replace the possiblity of mass extinction by nuclear weapons as the principle threat to the survival of the species. In other words, they are going to bring the environment up to the point as the principal threat to the survival of the species by poisoning the water, the food and the air. Environmental disasters constitute a threat that can only be dealt with through a social system on a global scale to offer a solution. The Nuclear Reader provides in 50 pages the background of the whole nuclear industry, so that we will comprehend that it must be ended and replaced by safe energies. This is MUST reading. Free ebook. it’s an over view, easy to understand and easy to implement. If there is a smoking gun at Fukushima, and the internet is awash with many, here is just one to consider … to consider how the heck we ever got here! While this petition is a great start, the CCRG understands that only a cohesive UN action can address the current crisis. Japan should be requested to contribute to the effort wherever possible, and otherwise stay out of the way.